Rocklin is served by the Placer County Transit Agency (PCTA) which offers bus service to and from Sacramento. Also, the PCTA connects with Regional Transit (RT) which is the major public passenger rail transit system serving the Sacramento Metro Area. The Placer Commuter Express is a commuter bus that travels along the I-80 corridor from Colfax to downtown Sacramento. The Rocklin Multimodal Train Station is a permanent building for rail users, located along the Union Pacific Railroad track at the Rocklin Road crossing [map]. Rocklin is served by the Amtrak Capitol Corridor service. Passenger train service is available both westbound and eastbound from Rocklin to Sacramento and the San Francisco Bay Area metro services. The Port of Sacramento is located 79 nautical miles from the Golden Gate Bridge, San Francisco, to the harbor. It is located 29 miles (27 minutes travel time) from the City of Rocklin. 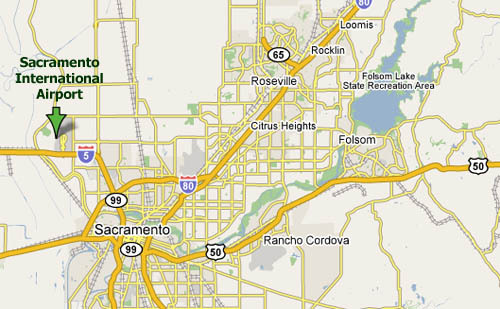 There is direct trucking access to the Port of Sacramento from Interstate 80. There is a 200-railcar capacity marshalling yard and several railcar tipper and receiving pits inside the terminal. The Port depth is 30 feet. The major highways in the area are Interstate 80 and Interstate 5, and State Highways 65, 50, and 99. Major highways connect Rocklin with several major and minor cities in the region (see driving distances). CalTrans – Department of Transportation maintains information about highways as well as current road conditions. 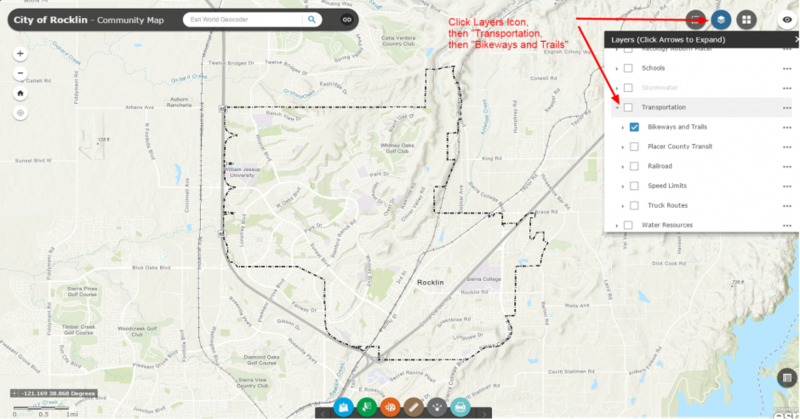 Caltrans also maintains Travel Information Maps for California. The Sacramento International Airport (“Sac Metro”) provides passenger and freight service to the Sacramento area.